Your excursion begins with a short cruise across island-studded Lake Manapouri and a coach trip over Wilmot Pass. 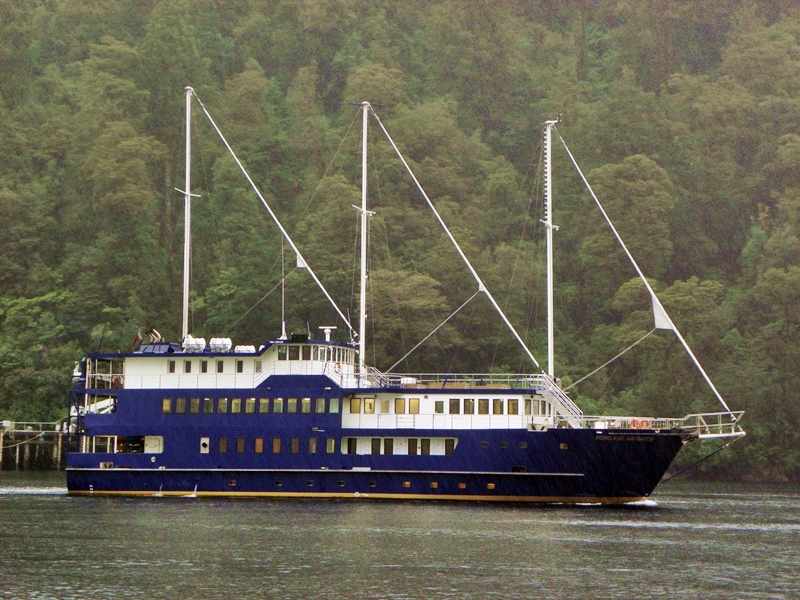 You will then descend to Doubtful Sound to meet the crew of the Fiordland Navigator awaiting you in Deep Cove. The Fiordland Navigator is designed along the lines of a traditional sailing vessel, combining the charm of a bygone era with all modern comforts including spacious viewing decks, a dining saloon/fully licensed bar and an observation lounge. 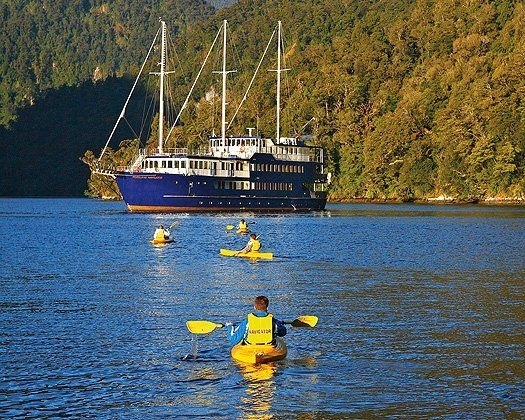 During the afternoon, you will cruise the full length of the fiord, weaving through hidden coves and waterways. Bottlenose dolphins are often encountered, fur seals bask on the rocks and, at times, rare penguins can be seen. As evening draws near, the crew will drop anchor in a sheltered cove, allowing you to explore the shoreline by kayak or tender craft (small boat) with a nature guide. For the more adventurous, there’s even a chance to go swimming. In the evening, enjoy a delicious meal prepared by our onboard chef and relax in the saloon before retiring to your cosy bed.